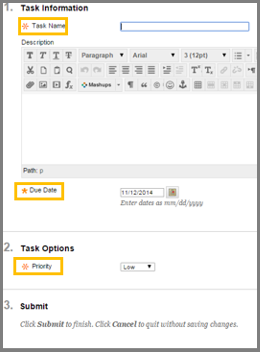 The Task tool is primarily used to keep track of work and remind you of important assignments that must be completed. 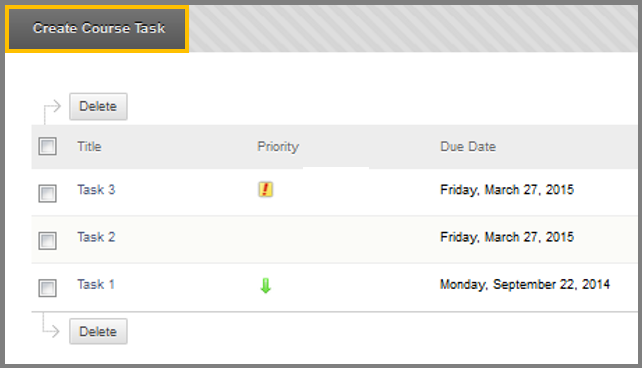 It also shows the due date of the task. Except from class tasks that are created from the instructor, the students can also create personal tasks. Type the name of task you are about to create. (Optional) Type a description for the task. Enter the Due Date of the task. Set the Priority of the task. Click Submit to create the task.